Readers wills be inspired to push past their own personal obstacles to live out their greatest future possible. The book features stories of great outliers from the past, in addition to narratives of the accomplishments of everyday people. Theses true and little-known tales demonstrate the power of the Ingredients of Outliers. Order your copy in ebook or print now, to join the ranks of the outliers. 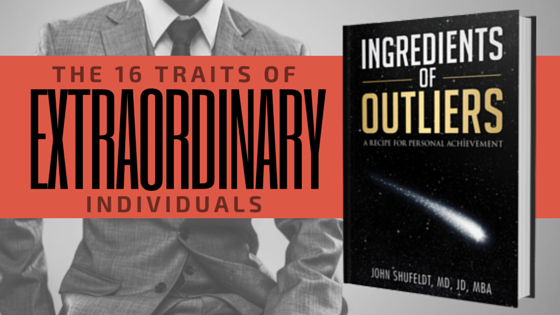 Ingredients of Outliers is the foundational book in the Outlier Series. The books in the series will introduce students and professionals, to the insider tips on becoming an outlier in their respective profession. Readers can expect the series to include careers in: medicine, education, health, and entrepreneurism. The series also features a teen and young adults leadership book, Ingredients of Young Outliers, and a women’s leadership book, Ingredients of Outliers: Women Game Changers.